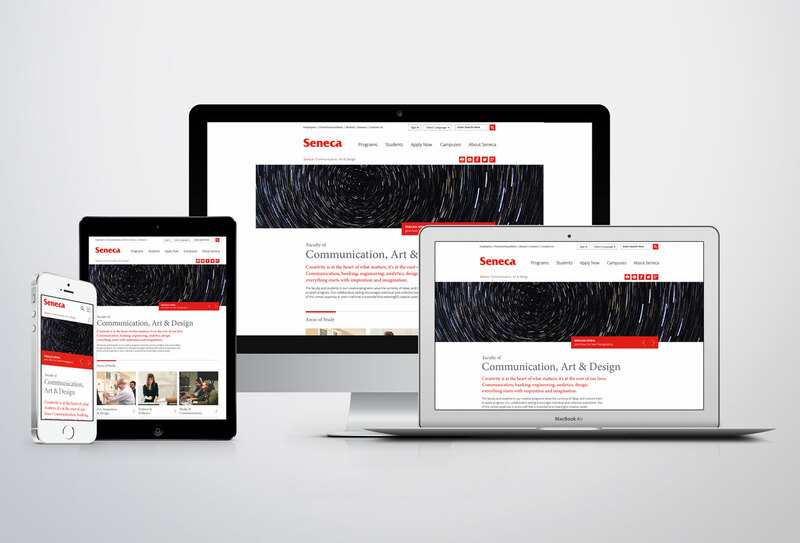 Seneca approached SOS to help with the redesign of their Faculty of Communication, Art & Design (FCAD) site. 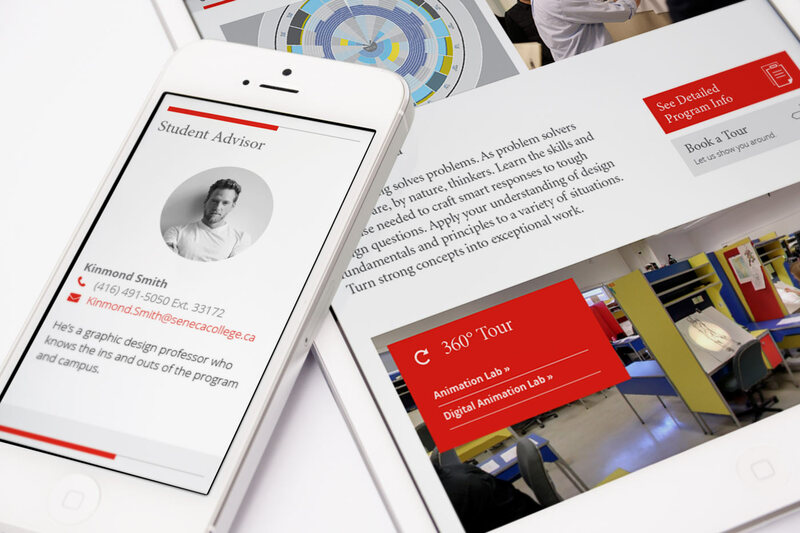 The goal of the redesign was to position Seneca’s creative programs as on par with local and international competition. Seneca wants prospective students to view FCAD as “the” art school. 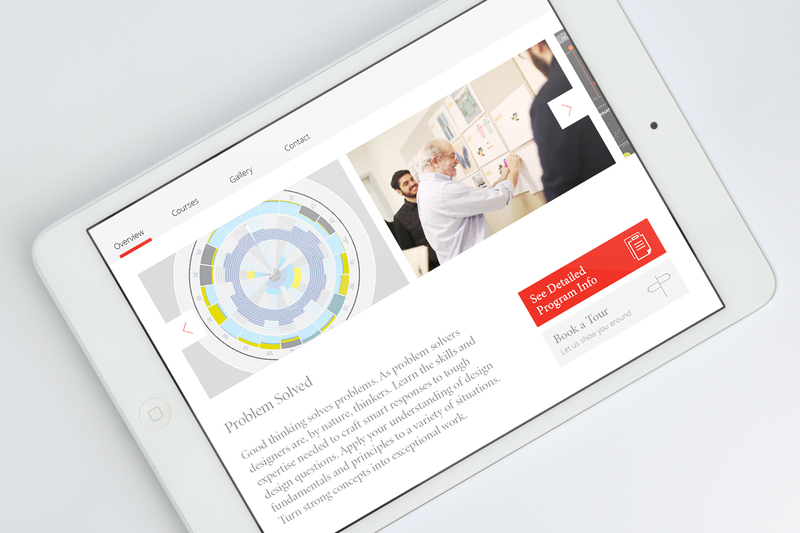 With a strong understanding of the internal resources required to overhaul the design of a single Faculty site, SOS developed an architecture and design layout that was flexible enough that other Faculties could adapt it in the future. The approach of the redesign was to treat Areas of Study and Program pages like that of a Category or Product page in an e-commerce environment. Leveraging student work, in-class and environmental photography, SOS developed a visually-rich site that painted a clear and articulate picture of FCAD’s programs. This was backed with strong industry success stories and personal contact information for the Program Co-ordinators. Although the mentality of applying for school is not the same as purchasing something from say, Amazon – we wanted to provide prospective students with an experience that would excite them about the programs. Let us know what you think. Let us know what you’re looking for. And let's get started. 9 Edgedale Road Toronto ON M4X 1N5 | sos@hellosos.com | 416.767.7671 | SOS Design Inc. © Copyright 2016.